So, lets see today what are the planetory positions which can give extreme fame to a person. So, there are many ways by which a person get fame but one planet which is always seen working behind person's fame is "Rahu". Now, Fame can be of different types, like a video going viral online is also Fame but it is a fame for a very limited time. Here, we are talking about Fame which is steady for a long period of time or even lifelong, like Amitabh Bachchan, Sachin Tendulkar and like. 1st of all, why Rahu is a planet which is responsible for giving exteme fame? Because Rahu is an illusionary planet and Fame is nothing but an illusion. It is only when we get it then we realise what we have lost in exchange of getting fame? Another thing is that whatever Rahu does, it blows the things out of proportion. So, when it gives fame, it gives up to the maximum limit. 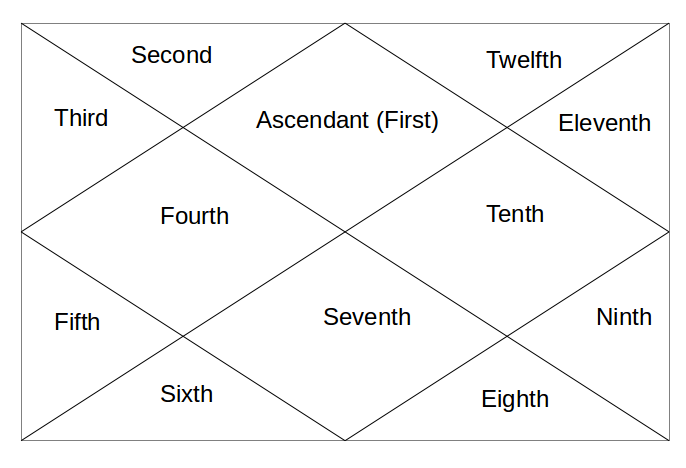 Now, whenever Rahu sits in 5th house, 7th house or 10th house of anyone's horoscope, there is a great possibility that this person can achieve great fame in this life. Actually, he should try his level best to achieve fame as without achieving fame, it will be like God has given you all the potential to get fame but you haven't made good use of your own potentials. 5th house is house of creativity, sports, cinema etc and when Rahu is here, which represents a person's Obsession, these people become obsessed for these things. Example - Sachin Tendulkar. 7th house is house of Other People, means kind of Public at large. When Rahu comes here, there is internal desire inside a person to reach out to Public and thereby they become popular and get fame. Example : Amitabh Bachchan. 10th house is exactly opposite to 4th house. 4th house is Home, so 10th house becomes world outside home, so in a way it is a house of Society. Rahu in the 10th house is one great placement for becoming a politician because 10th house represents the energy of Capricorn (10th sign). Capricorn is sign of Government, Law and Order as it is ruled by Saturn (Lord of Justice). Example - at least a tonne of politicians. Now, Rahu is not considered into predictions by Western Astrologers. Even if few of them consider it, it is considered as a benefic planet whereas in Vedic text, it is always a malefic planet. The reason behind this difference lies in the culture of both the society. Western Society is more a materialistic society where things related to Rahu (wealth, fame etc) are all the things to look out for in life, so Rahu is considered benefic for them. But Indian Ancient Society was more spiritually inclined and treated above things related to Rahu as the obstacle in achieving ultimate goal of Liberation. Hence, for us, it became malefic. @ TSY - it can make person extra spiritual, creative and imaginative. Sir what about Rahu in Revati nakshatra in 7th house ?